A major disappointment because it is unlike a Kabir Khan film, else Salman Khan is usually unnoticeable. Salman Khan is not an actor, he is an emotion. Until he joined hands with director Kabir Khan, who has a flair for making war films in Bollywood, the actor wasn't really a content-driven star. Ek Tha Tiger or Bajrangi Bhaijaan, both the films had a plot, but Tubelight seems to be far away from them. Looks like Salman's massive popularity saves him in every Eid release, but with Tubelight, only hope can save him and his film. Based in Kumaon, the film is an official adaptation of Little Boy, but it is nowhere close to the original one. Laxman (Salman Khan) loses his parents in early childhood and is left with a younger brother Bharat (Sohail Khan) to take care of. Banne Chacha (Om Puri) raises them in his ashram until the two get settled. One fine day, few jawaans of the Indian Army come to Kumaon in search of soldiers and Banney Chacha insists Bharat to join the force. Laxman doesn't find this idea good, but eventually Bharat leaves to join the force. Unfortunately, the Chinese army attack them and make Bharat their hostage. He tries to escape, but gets killed, while Laxman eagerly awaits his brother Bharat to come back. Meanwhile, Laxman meets Liling (Zhu Zhu) and her son Gou (Matin) in the city as they shift from Kolkata to Kumaon in order to be safe from the war. Set in 1962, the worst part of the film is its weak plot and sloppy execution. Tubelight is by far Kabir Khan's weakest film. Though the entire film is about brotherly bond, it hardly touches you. The film has uncountable glitches which makes it an absolute mess. It is certainly not a Kabir Khan film. Wonder how the same director had made films like Kabul Express, New York and Bajrangi Bhaijaan in the past. Be it Shah Rukh Khan's cameo as Goga Pasha magician or Salman Khan's overt faith of getting his brother back safely, nothing seems relevant to the plot. A person who has a responsibility of his brother won't join Indian Army in the first place under any circumstances. 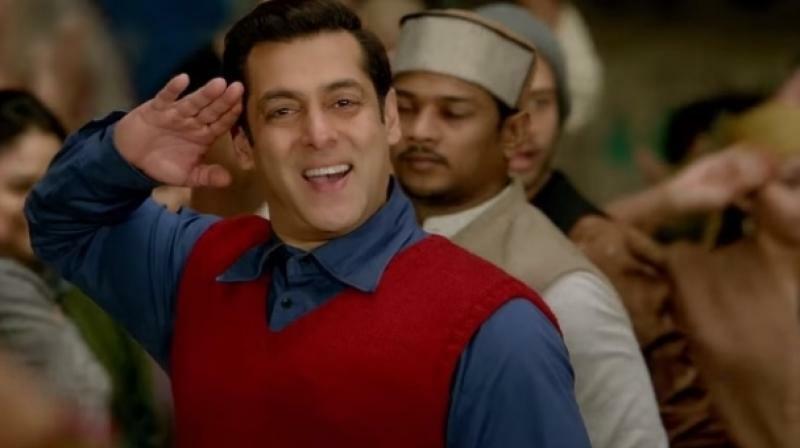 Emotions shown in the film would have been justified if Sohail Khan's character would have been interested in joining the army since childhood or to fulfill Salman's dream of serving the nation at the border. Kabir Khan lost his game this time, no matter he tried to touch upon Indo-China war for a change, but the film falls flat. The film remained unsuccessful in creating a hat-trick with superstar Salman Khan. The funniest part of Salman Khan films is that he is always shown as a god's man. In Tubelight, he has crossed boundaries of unbelievability. Like how he shakes the city like an earthquake with his faith, really? For instance, a thought would strike in the mind that Shah Rukh Khan must have played a catalyst as a magician in getting Salman's faith to life. Does it make sense? Writing a review for a Salman Khan film is a sheer waste of time. He is worshiped by zillions of his fans across the globe who are certainly ignorant towards criticism. His larger-than-life image is constant with his films and Tubelight is no less. Salman's constipated face throughout the film is a big hurdle. Imagine, this time Sohail Khan looks much better than him on screen. Om Puri and Zhu Zhu are just about average, but the little boy Matin steals the show with his cute face and dialogue deliveries. Mohammad Zeeshan Ayub is quite a treat to watch. Overall, Tubelight is a major disappointment. It is unlike any Kabir Khan film, and not in a good way. Watch Tubelight since you have no other film to watch over this long weekend as Salman has managed to block 4000 screens for his film.